The one with NerdLacquer Gorramit! 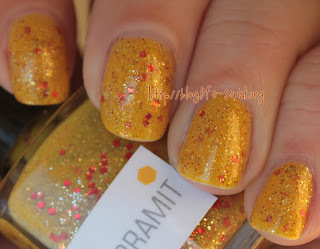 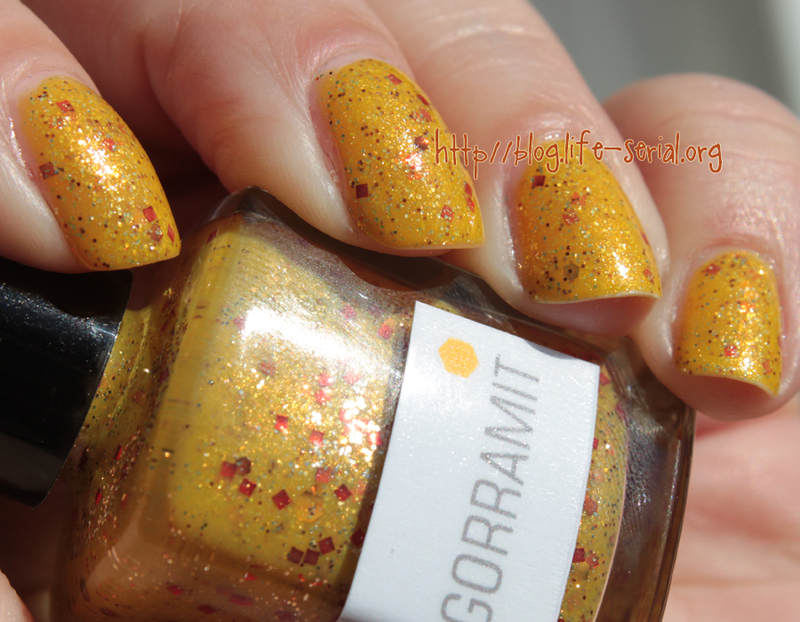 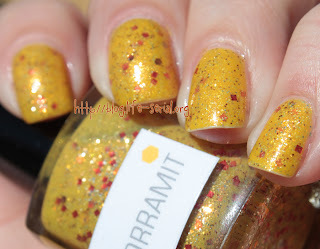 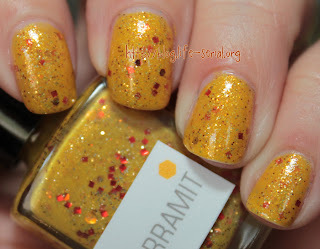 NerdLacquer's official description of Gorramit is as follows: "GORRAMIT is a cantankerous golden yellow with silver and gold microglitter, gold glitter, medium square red glitter, and multiple sizes of copper and rust hexagonal glitter. 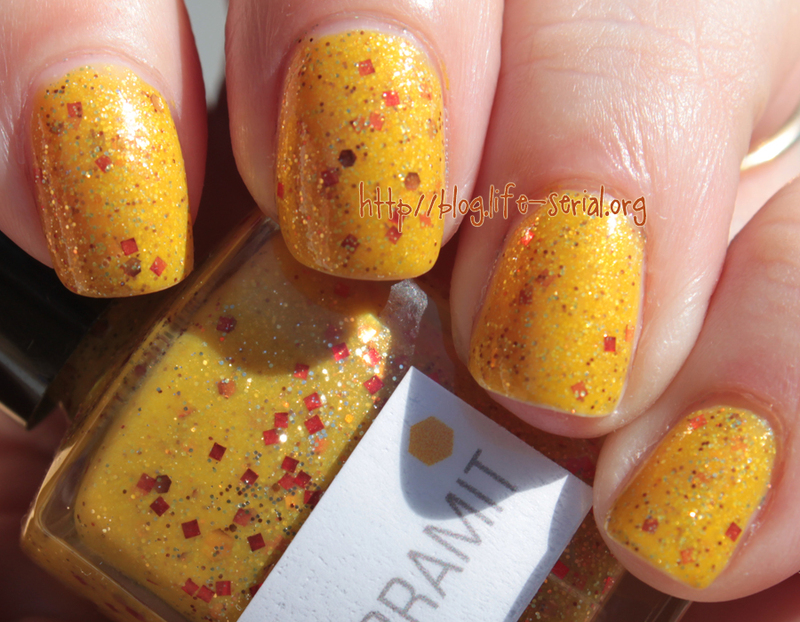 A little feisty, but easy on the eyes, and quite opaque in two coats. Keep away from liquor, women, and firearms."